Welcome to Coffee Real Estate your online resource for your care home real estate needs. Here at Coffee Real Estate we are an industry leader in care home real estate and in niche markets such as the Adult Residential Facilities (ARF), Residential Care for the Elderly (RCFE), Regional Centers and Alta California Regional Center (ACRC). We are pioneers in consumer services with our dedication to our customer satisfaction. 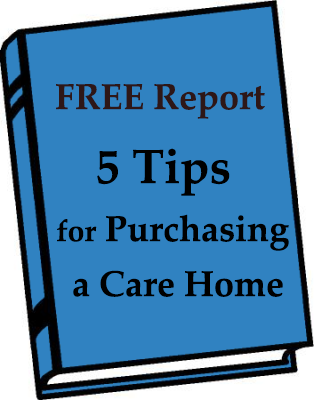 We will help you buy, sell, or lease a care home facility. Resident care homes in California are residential properties that are designed or laid out to function as a business to care for people. The people could be elderly or senior care or individuals with physical handicaps or even emotional needs. The type of clients is important to know for the type of care home staff, facilities features, licensing and experience needed. Each type of client requires special knowledge and training. Accurately valuing the small business aspect is often the most challenging part of the process for a care home buyer or seller. The challenge for the buyer is to formulate a valuation that is accurate, and will prove to provide the buyer with an acceptable return on your investment. Alta California Regional Center (ACRC) Care Homes are specialized residential facilities. An Alta care home is vendored Sacramento regional center residential facility. A Residential Care Facility for the Elderly (RCFE) are non-medical facilities that provide a level of care that includes assistance with activities of daily living. Residential Care Facility for the Elderly are sometimes called "Assisted Living" or "Board and Care" facilities. RCFE for sale; RCFE buyer; RCFE seller; First time RCFE; RCFE owner; RCFE operator; RCFE administer; RCFE staff; RCFE home; RCFE house; RCFE care home; Residential Care for the Elderly RCFE; RCFE Residential Care; Residential facility for sale; Residential facility want to buy; RCFE laws; RCFE clients; RCFE property; RCFE land; RCFE Sacramento; RCFE Roseville; RCFE Placer county; RCFE Sacramento county; RCFE north highlands; RCFE Carmichael; RCFE Citrus Heights; RCFE El Dorado county; RCFE Yolo county; RCFE San Joaquin; RCFE San Francisco; RCFE Oakland; RCFE San Mateo; RCFE Yuba county; RCFE Yuba city; RCFE Auburn; RCFE California; RCFE gold country California. CARE HOME for sale; CARE HOME buyer; CARE HOME seller; First time CARE HOME; CARE HOME owner; CARE HOME operator; CARE HOME administer; CARE HOME staff; CARE HOME home; CARE HOME house; CARE HOME care home; Residential Care for the Elderly CARE HOME; CARE HOME Residential Care; Residential facility for sale; Residential facility want to buy; CARE HOME laws; CARE HOME clients; CARE HOME property; CARE HOME land; CARE HOME Sacramento; CARE HOME Roseville; CARE HOME Placer county; CARE HOME Sacramento county; CARE HOME north highlands; CARE HOME Carmichael; CARE HOME Citrus Heights; CARE HOME El Dorado county; CARE HOME Yolo county; CARE HOME San Joaquin; CARE HOME San Francisco; CARE HOME Oakland; CARE HOME San Mateo; CARE HOME Yuba county; CARE HOME Yuba city; CARE HOME Auburn; CARE HOME California; CARE HOME gold country California.